Cuba is currently in a state of transformation, almost a quiet revolution of sorts. Raul has taken charge in Fidel’s absence and much has changed for the better. Cuban cuisine is also caught up in this ongoing evolution, and I suspect in a few years, it may be different. The current Cuban cuisine I experienced was very good and that completely surprised me. El Templete in Old Havana. Cuban restaurant-style cuisine, it seems, is something that is reserved for foreigners and often excludes actual Cubans. Paladars are continually popping up but they are often too expensive for the average resident of Havana. 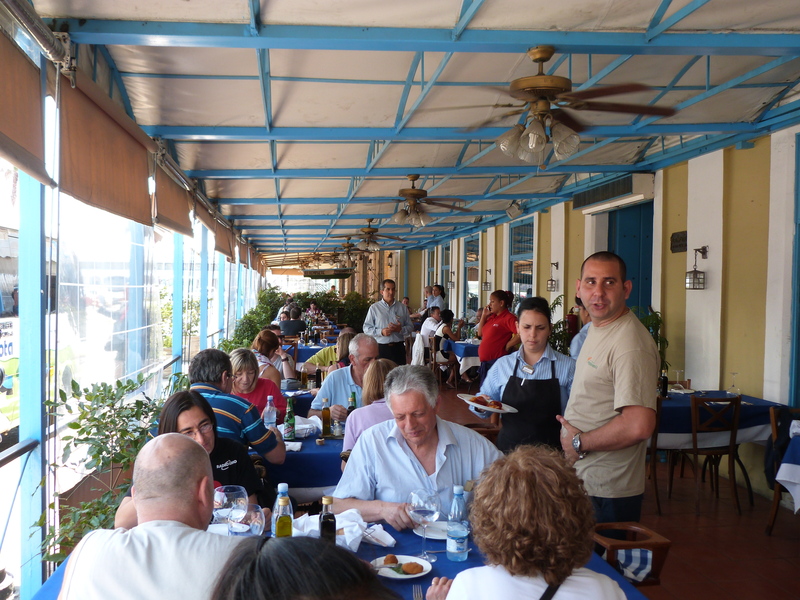 Even most of the state-run restaurants of Havana are too expensive for their native inhabitants. Raul’s new policies on the legalization of private business and being able to buy and sell property have allowed for a larger class of business owners. This in turn, has expanded the class of restaurateurs. Many of these paladars are very nice and delicious places to eat. However, many of these paladars are no longer paladars. Many of them are no longer in actual homes but are in their own separate buildings. 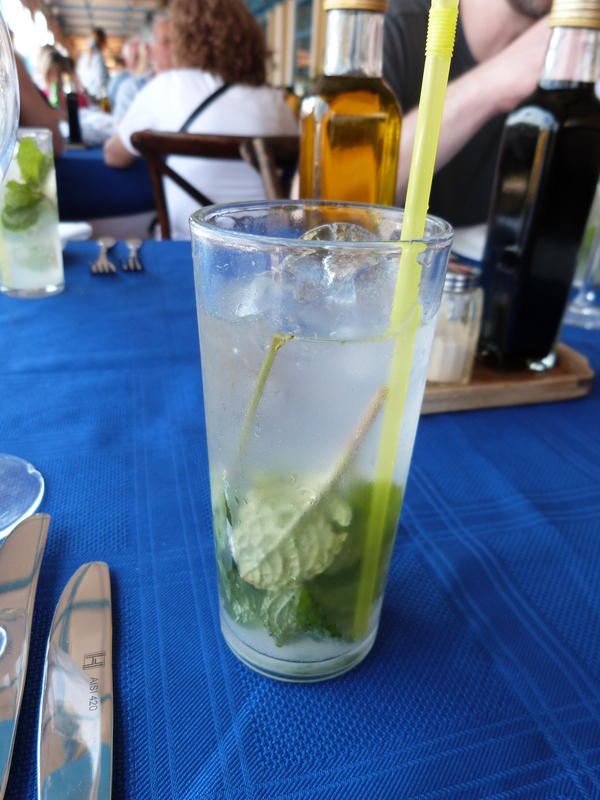 A virgin mojito from El Templete. 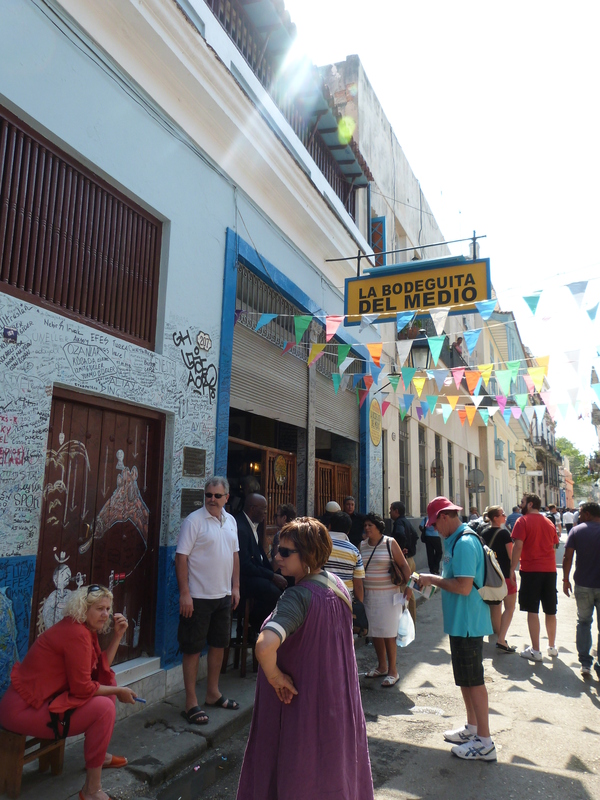 La Bodeguita del Medio where the mojito originated. any restaurant here in the United States. The state-run establishments we ate at were very good as well. Restaurants like El Templete and El Aljibe did nothing but impress. 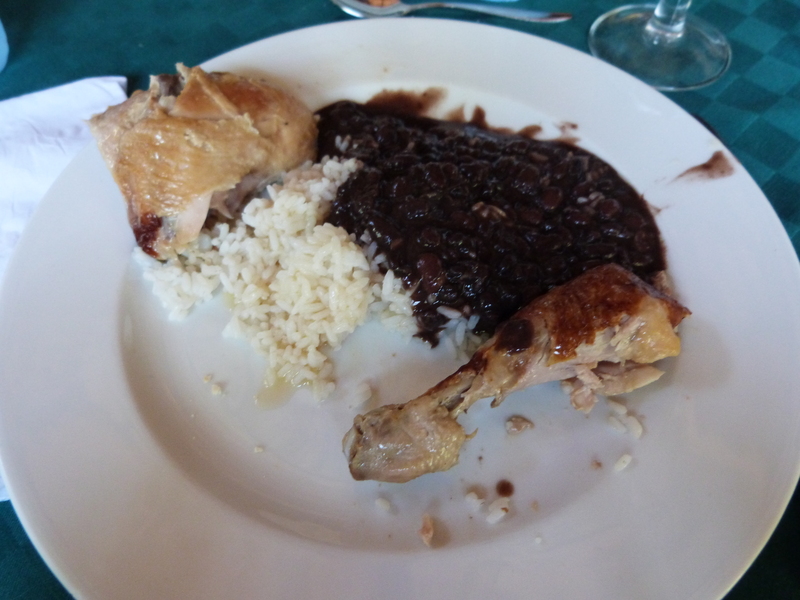 They had great food including seafood, roasted chicken, and of course the Cuban staple, black beans, and rice. Service was also very good, but the check timing occurred in these places as well. Overall, I very much enjoyed the food in Havana, but you could tell these establishments were aimed at foreigners. They had similar prices to that of restaurants in any big city in the United States, and they often served food that many Cubans would not eat. Things like lobster, fish, and vegetables that are not fried are not particularly commonplace in the average Cuban’s diet. This lack of dietary diversity is being offset somewhat by a new food education movement and by urban organic farms. utilize vegetables in recipes by cooking simple dishes. I think these television programs will greatly increase the use of produce in Cuba in the future. 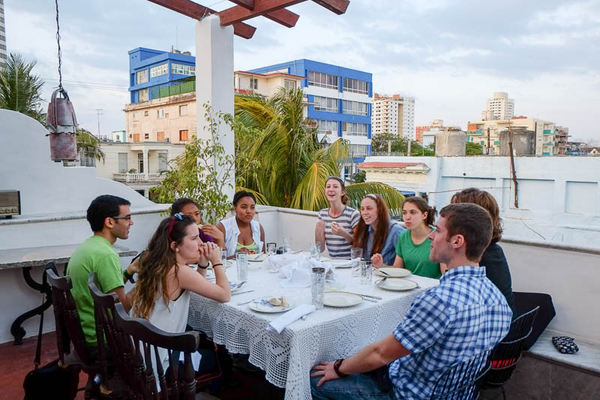 It will also allow the restaurants of Havana to create more diverse dishes or cater more greatly to possible vegetarian tourists. 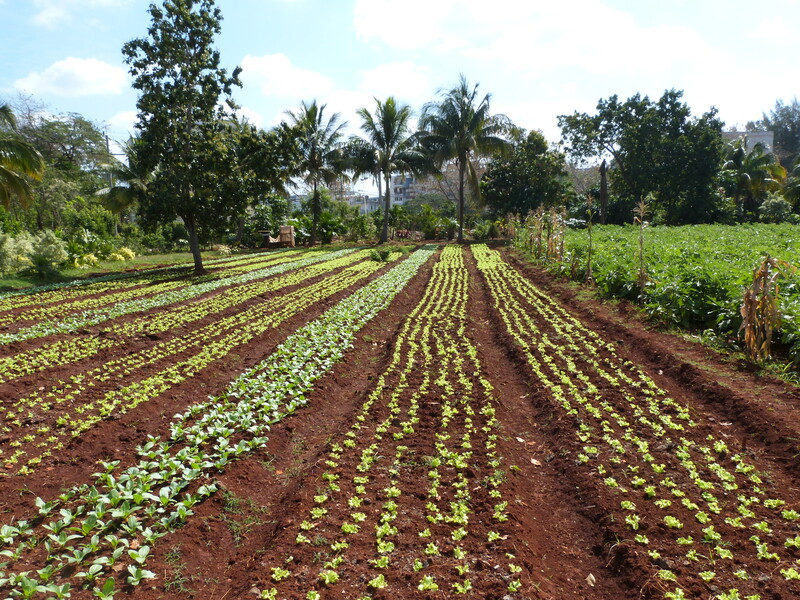 Organic farms will continue to grow in numbers as the population gets more educated on this topic. This increase will only lead to better cuisine and a healthier general population. Organoponico Vivero Alamar was extremely impressive, and I could see that they were very productive. Large organic farms such as this one will likely lead the way in this movement. Roasted chicken, black beans, and rice at El Aljibe. 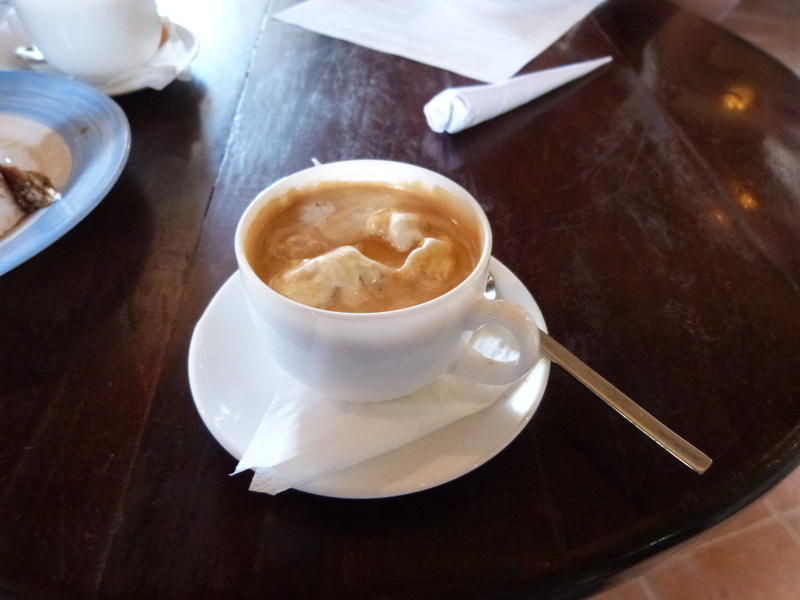 A cup of fantastic coffee from Cafe el Escorial. programs about how to use vegetables will facilitate this as well. This in turn, will create more diversity in the cuisine of Cuba, both in tourist aimed restaurants and in Cuban homes. 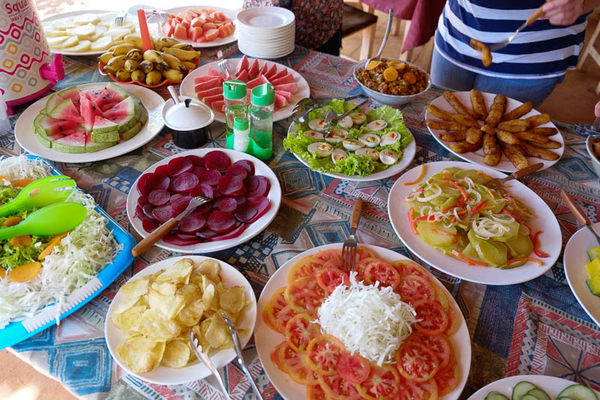 Better food may attract more tourists, and all of these changes will only be good for Cuba. In time, Havana may become a very different place with regards to food, and the people of Cuba will benefit from it. Overweight, obesity and the co-morbidities that follow has become a worldwide concern. Cuba isn’t much different in that regard and with the co-morbidities of diabetes mellitus, hypertension and heart disease it comprises the current growing public health concerns Cuba is facing (Díaz et al. , 2009). What distinguishes Cuba from a lot of other countries where this is a problem? You will still not find McDonald’s and Burger King around the street corner. We usually attribute the prevalence of obesity and overweight to the popularity, convenience and readily available fast foods in today’s society. 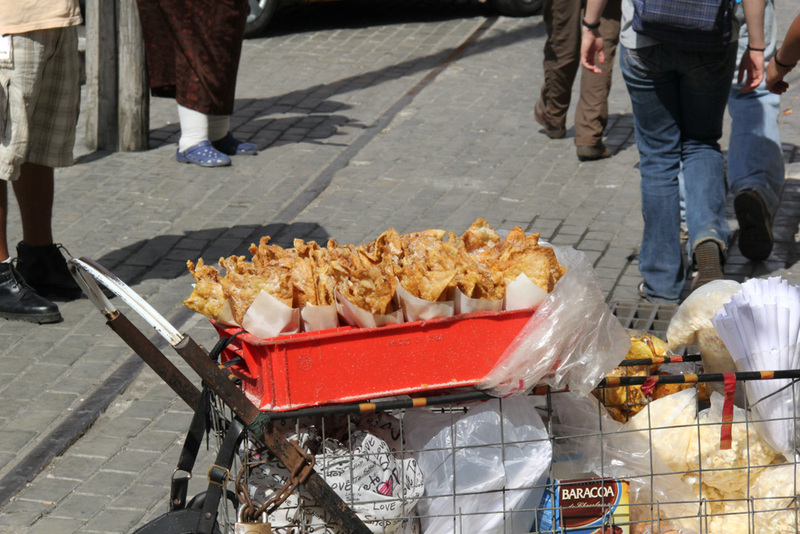 You might also see some in Havana, Cuba, their own chains or more local fast food joints, but not to the same extent. Pork, chicken, beans and rice, plantains, other root vegetables and sugar is largely what composes the traditional Cuban diet and it is taking it share of the blame for the growing problem. Cubans are known to have a “sweet tooth”. In fact they are one of the biggest consumers of sugar in the world and as much as 20 % their daily energy intake comes from sugar (Giralda, 2006). Food selection on the basis of preference and budget (Porrata, 2008). Diseases (2001) 90 % would eat fried foods at almost every meal if possible. When prioritizing what groceries to buy, food of animal sources and fat would top the list, then rice and root vegetables. Fruits and vegetables would be on the bottom of the list (Porrata, 2008). 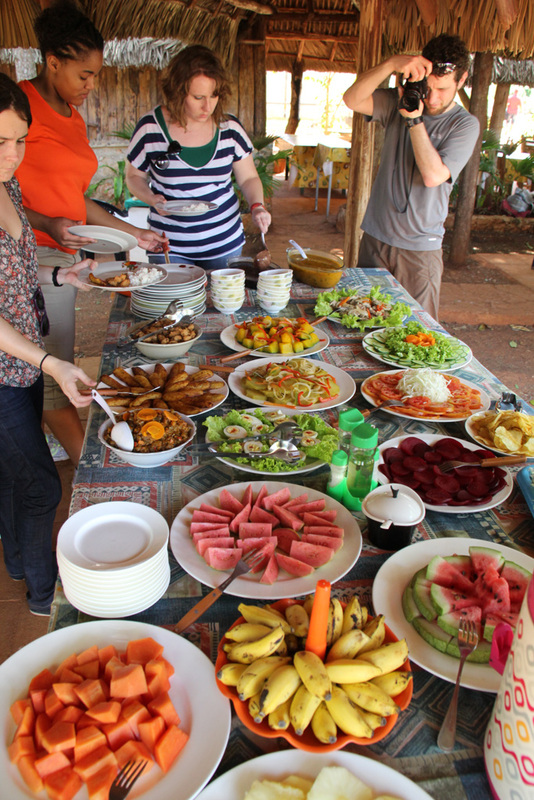 Our guide at the organic farm said that for Cubans vegetables only have a decorative purpose on the plate. Their preferred preparation for vegetables would probably be frying, if they were to eat it at all. The organic farm grew mushrooms and this was also offered to us on our omelet at the hotel. But our guide told us that mushrooms was one of the things that was not part of the Cuban diet. Because Cubans haven’t had a culture for eating vegetables, they don’t know how to prepare it either, and how and where to use it. Cubans don’t eat fish. This might be due to taste preference (Porrata, 2008), although we were also told that a lot of Cubans say that they don’t like fish, but without ever trying it (Tourguide: Geldrys). They have a low consumption of fiber (14g). Inadequate consumption of the recommended daily fruits and vegetables is one reason, another is that Cubans’ diet of whole-grain cereal are almost non-existent. It is not preferred and unfamiliar to them (Porrata, 2008). White rice is their staple food. As we were told and mentioned earlier, there is already a growing effort through media and schools to educate Cubans about how to prepare vegetables and incorporate it into dishes and meals. The organic farm invited school children to the farm to teach them about fruits and vegetables grown there, the benefits and nutritive values and how to prepare it. The Institute of Nutrition and food Hygiene collaborates with the media in creating programs that touch base on nutrition, especially through radio and tv-shows (Giraldo, 2006). Our guide at the organic farm was going to appear at a popular tv-show where she prepared a dish with vegetables, mushrooms being one, in an effort to educate the public of healthy eating. Surveys of adults’ knowledge relating to food and nutrition illustrates where there are room for education; 50 % did not relate diet to health, they were not aware of the bad effects of re-using oil, 25 % were unaware of cholesterol’s effect, only 20 % indentified fruits and vegetables as a source of fiber, over 60 % identified meat as a source of fiber, 90 % considered red meat as the healthiest meat, only 28% recognized fish a a healthy alternative and 30 % were not aware of the bad effects of sugar (Porrata, 2008). Carmen Porrata, MD, PhD wrote in her viewpoint article titled “Cubans’ Deadly Diet: A Wakeup Call” published in 2008 that “By learning to eat simply and eat most natural foods possible, we take more responsibility for our health and our lives”. The key word is learning. Cubans need the knowledge that will “empower” them, so that they can make the right choices (Porrata, 2008). Today a lot of us “google” what we don’t know, we get answers of “how to…” through step-by-step instructional videos on youtube, but for Cubans other ways, such as educational posters probably plays a bigger role, but the distribution and access is limited. think”, although this did not refer to diet changes, it did refer to Cuban people’s willingness to adhere to solutions that are presented to them (The Power of Community (…)). Food habits are formed from childhood (Holli et al. , 2009). If this generation is educated about food and nutrition and its impact on their health, food choices might change, even small changes will carry on to the next generation and the next. 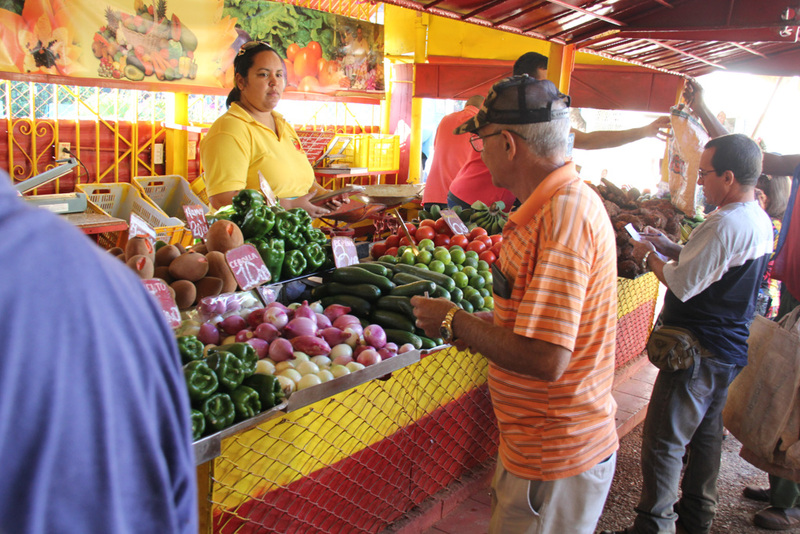 80% of Cuba’s agricultural production is organic and they have food markets with a greater variety of fruits and vegetables than what we might find at our local Kroger store, but the variety could be even greater if only the produce was sought for (The Power of Community(…)). The organic farm had produce that only supplied the tourism industry, or would stop production of others, because although they had the resources to produce a greater variety of vegetables, they chose not to, because the demands of it and profit wasn’t there. There seem to be a growing understanding that lifestyle changes and social support with strategies that involve several sectors is the only way to tackle obesity. Strategies involve creating public awareness, not only about diet and nutrition, but also awareness to the cultural preference for “chubbiness” and educating health personnel in diet and nutrition (Giraldo, 2006, Porrata, 2008). 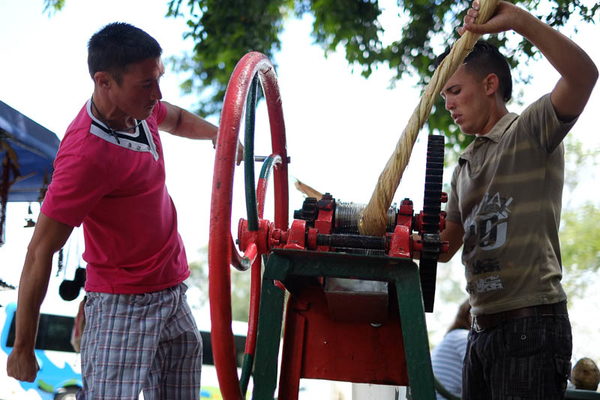 It will take some time, but if anything Cubans seem to be remarkably adaptable to situations and taking advantage of opportunities to learn, to better their lives and make the effort to get by. It was a nation of no bicycle culture, but became one. It is a nation with available fish and vegetables, but someone must teach the man something else to fry and Cubans do not seem to shy away from change, but rather embrace it. Díaz, M.E., Jiménez, S., Garcia, R. G., Bonet, M. and Wong, I. (2009). Overweight, Obesity, Central Adiposity and Associated Chronic Diseases in Cuban Adults. MEDICC Review, 11(4): 23-8. 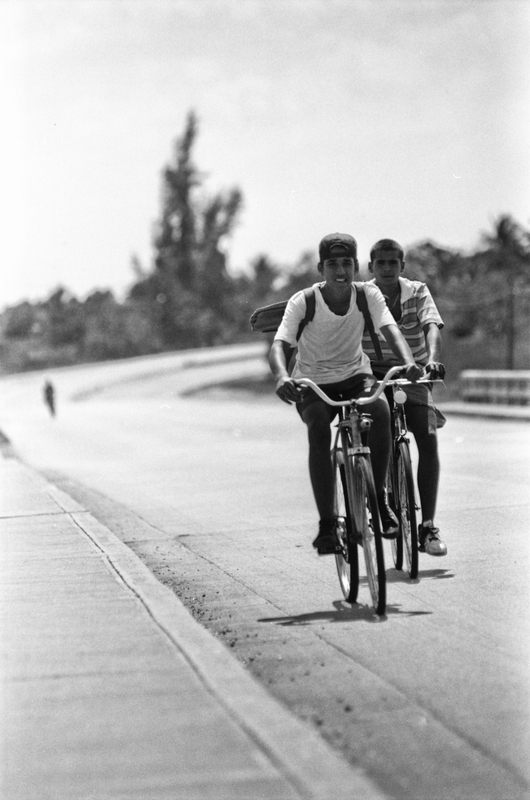 The Power of Community: How Cuba Survived Peak Oil. Dir. Faith Morgan. The Institute for Community Solutions. 2006. Film.